This is not a venue you see everyday. it looks like something you would see in Hollywood. 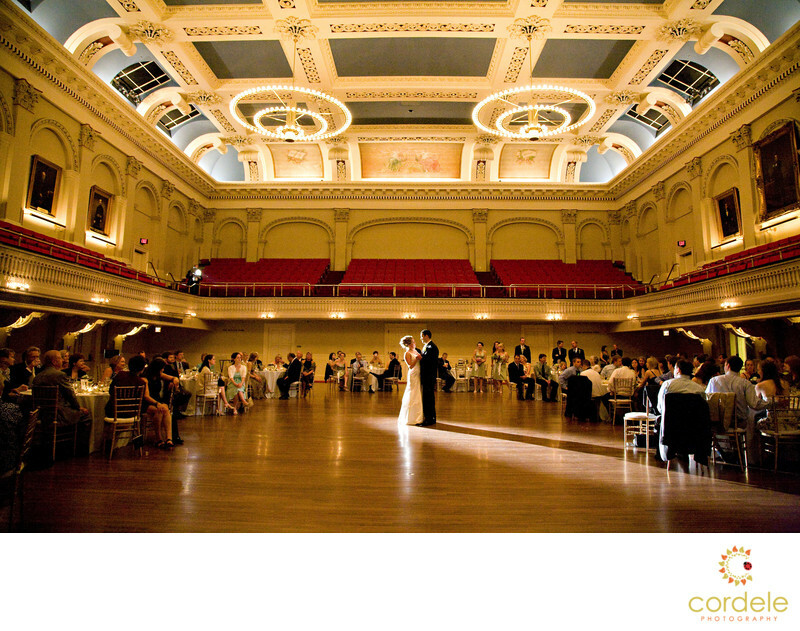 This is Mechanics Hall in Worcester MA and it's a beautiful venue. The first dance is light up with a spot light and it makes for such a dramatic photo.